After collecting you from the airport we will drive the short distance to Los Quebrantos beach at St Juan de la Arena where we will have an informal get together and induction. We will be returning here at the end of the week to mark the end of our journeying. The water of the rio Somiedo begins it’s journey 80 kms away in the mountains where we will be walking. After flowing into the rio Piguena and Narcia, it eventually joins the rio Nalon and empties into the sea at this place. 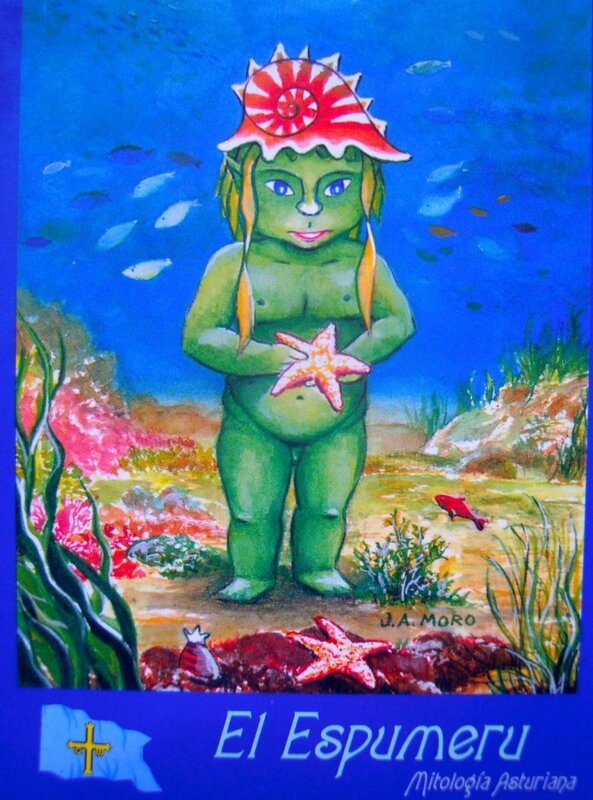 El Espumeru is the playful spirit of the surf in the local mythology. We will be collecting something from the sea to take to the mountaintop and, eventually, something from the mountaintop back to the sea at the end of the week. 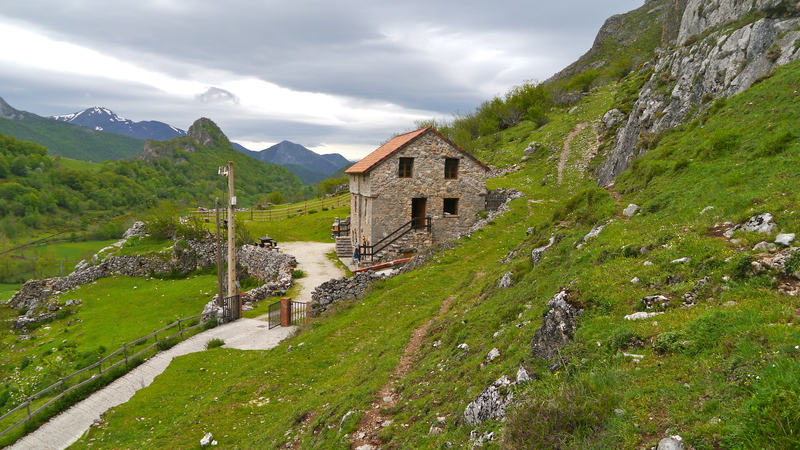 We will then drive inland to our base in Somiedo Natural Park in the Cantabrian mountains. We should get a chance to go to a platform high above Pola where we can get a great view of the town and the surrounding mountains and forests. There is a further 20 minutes drive to La Pinietsa in Valle de Lago where we will settle in to our first night in Somiedo.